Read the entire article at Vox. The Sierra Club notes that so far in the US, more than 80 cities, five counties, and two states have committed to 100 percent renewables. Six cities have already hit the target. 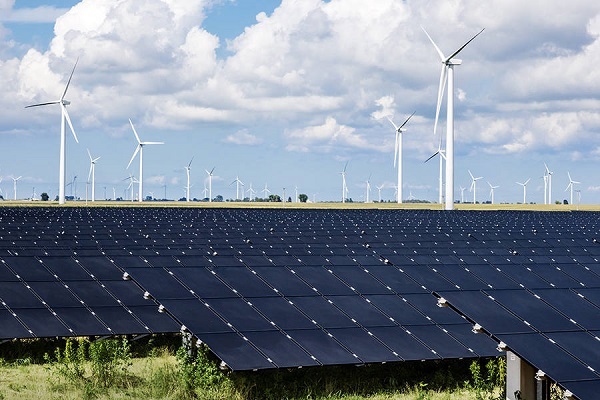 The group RE100 tracks 152 private companies across the globe that have committed to 100 percent renewables, including Google, Ikea, Apple, Facebook, Microsoft, Coca-Cola, Nike, GM and Lego. The timing of all these targets (and thus their stringency) varies, everywhere from 2020 to 2050, but cumulatively, they are beginning to add up. Even if policymakers never force power utilities to produce renewable energy through mandates, if all the biggest customers demand it, utilities will be mandated to produce it in all but name. The rapid spread and evident popularity of the 100 percent target has created an alarming situation for power utilities. Suffice to say, while there are some visionary utilities in the country, as an industry, they tend to be extremely small-c conservative. They do not like the idea of being forced to transition entirely to renewable energy, certainly not in the next 10 to 15 years. Getting to 100 percent quickly means lots of “stranded assets,” i.e., shutting down profitable fossil fuel power plants. The industry’s dilemma is brought home by a recent bit of market research and polling done on behalf of the Edison Electric Institute, a trade group for utilities. The work was done by the market research firm Maslansky & Partners, which analyzed existing utility messaging, interviewed utility execs and environmentalists, ran a national opinion survey, and did a couple of three-hour sit-downs with “media informed customers” in Minneapolis and Phoenix. The results are striking. They do a great job of laying out the public opinion landscape on renewables, showing where different groups have advantages and disadvantages. The takeaway: Renewables are a public opinion juggernaut. Being against them is no longer an option. The industry’s best and only hope is to slow down the stampede a bit (and that’s what they plan to try).